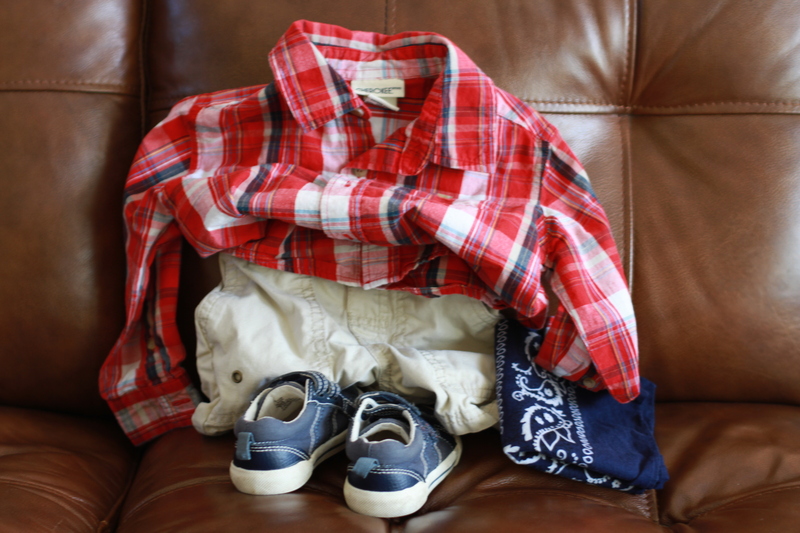 For the little one this time, all like new, shirt $1.49, shorts $1, Stride Rite shoes $1.49, and .99 kerchief. We love our bandanas, for all kinds of uses. I’m thankful for the blessings of other’s largess. Thrift stores are one of the best places to find fiber-fil (the stuffing) for craft projects. It is very cheap and I always keep a few bags ahead, especially as it crams into stuffed projects faster than you expect and I frequently run out. Check back Friday for a fiber-filled pinterest project! 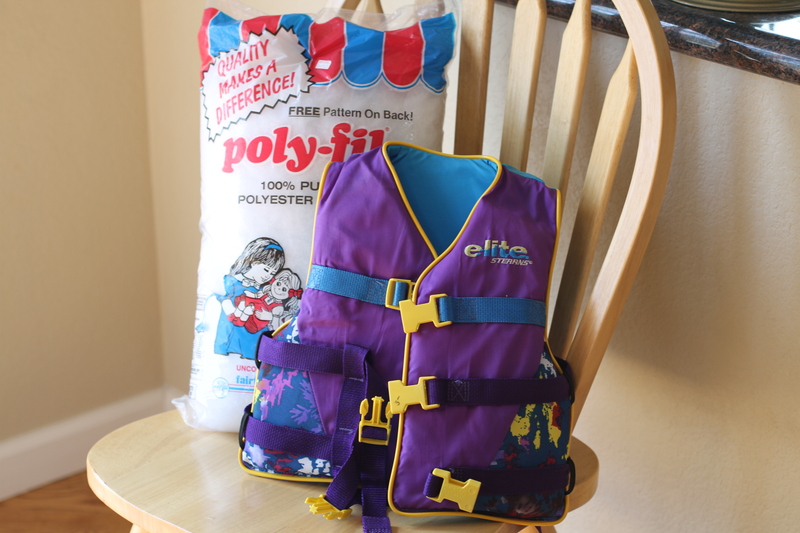 And a baby life-jacket for $2.50. for those infrequent times we rent a boat or go lake swimming. We won’t use it much but we have had several times we wanted one. 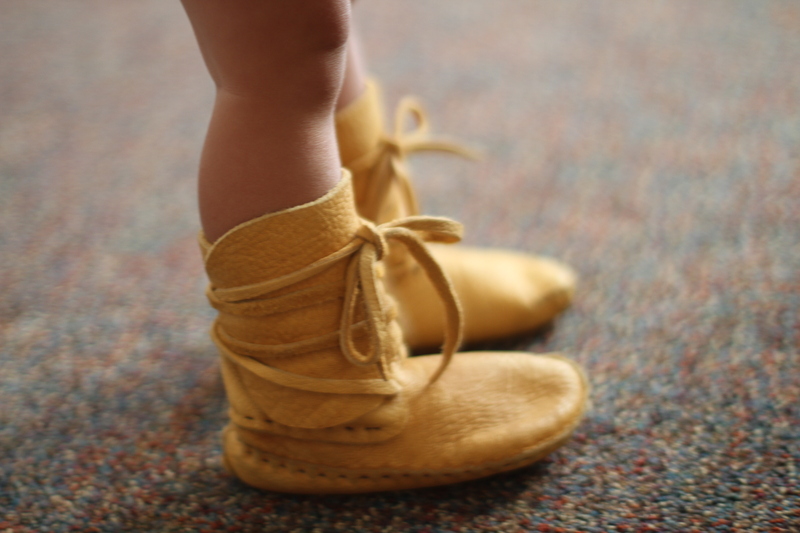 You are currently browsing entries tagged with baby at whatsarahfound.